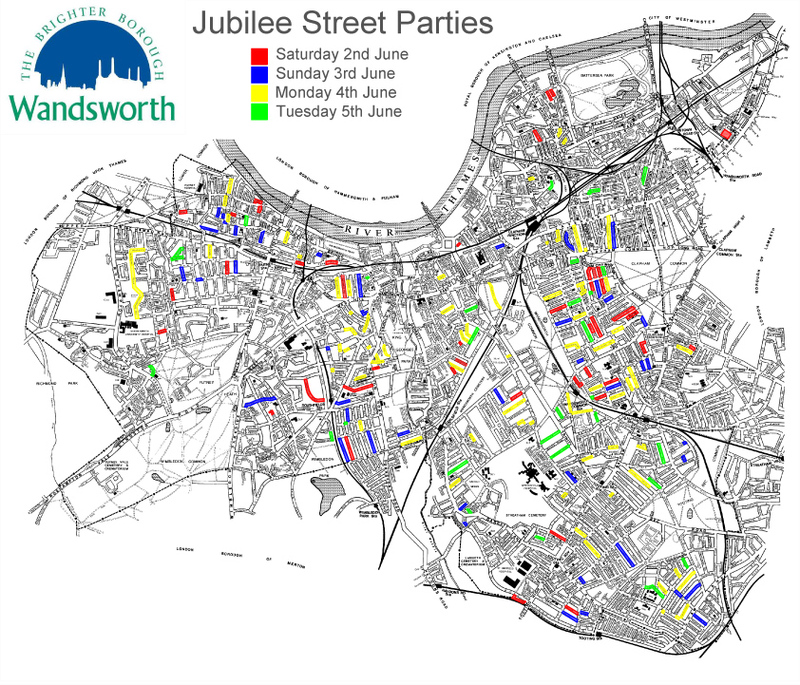 All 206 street parties are listed below in ward order (starts with ‘Balham’, ends with ‘West Putney’) and the helpful map above can be seen full size here: Jubilee Street Parties Map. Hope you have a fantastic long weekend! This entry was posted in Uncategorized and tagged Jubilee, Street Party by Simon Hogg. Bookmark the permalink.